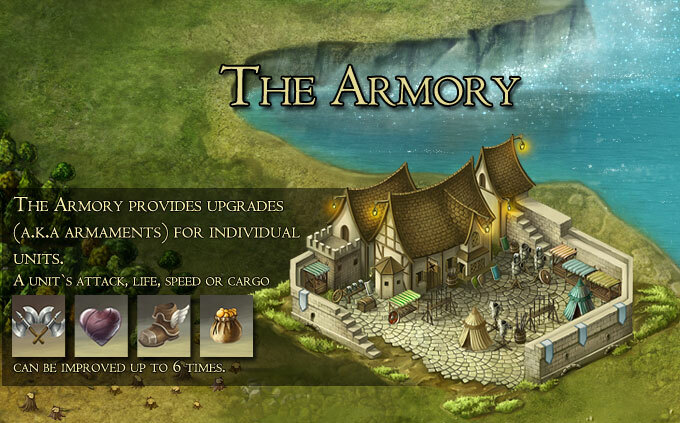 The armory serves to arrange manufacturing, supply and distribution of army equipment across your empire. Arming every soldier your have is a serious task. If left undeveloped enemies can brutally overpower you. How do I open the Armory menu? 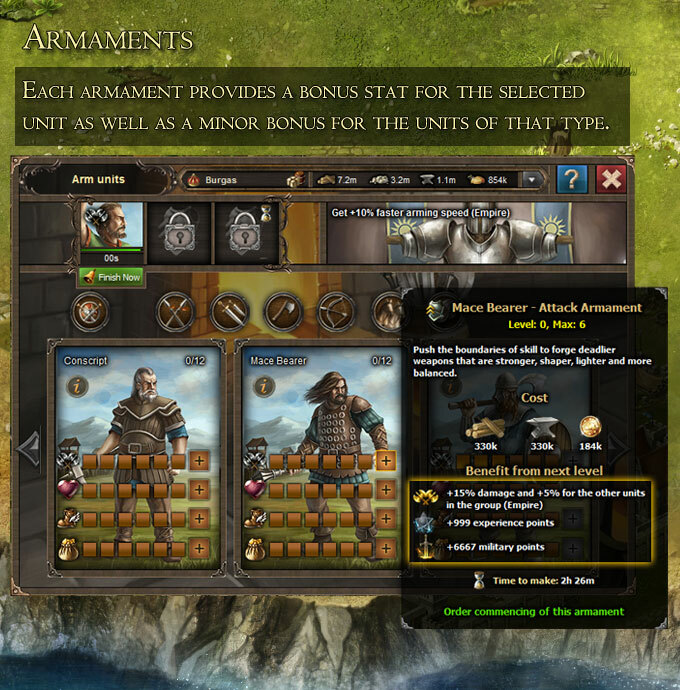 Most units have 4 armaments (Attack, Life, Speed and Cargo), 6 levels each. All armaments provide damage, life, speed or cargo %bonus to the group. So if a Bolter gets 1 Attack armament - that will also give part of the bonus damage to the other 2 Archer units. Why can`t I do more than 12 armaments for a unit?